Bineuse tractée manuel There are 3 products. 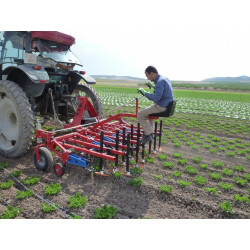 The DUO hoeing machine is for extremely precise mechanical weeding operations in marketing gardening/vegetable production. 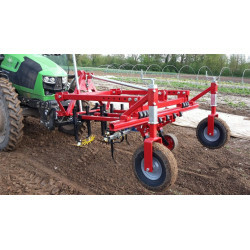 The ARGUS front-mounted hoeing machine is used for mechanical weeding in market gardening/vegetable production. 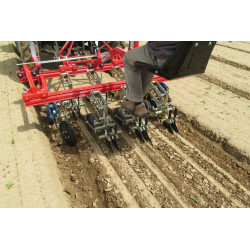 The ARGUS hoeing machine is used to carry out mechanical market gardening/vegetable production weeding operations.